A group of 21 House Republicans sent a letter to President Trump Sunday asking him to reverse course on three controversial executive orders aimed at making it easier to fire federal workers and curbing the influence of federal employee unions. In the letter, the GOP members of Congress touted the work of federal employees and asked the White House to rescind the executive orders and uphold the current law. Last month, Trump signed three executive orders on federal workforce issues. The first instructs agencies to streamline the firing process by standardizing performance improvement plans at 30 days in most cases, and to exempt firings and other adverse personnel actions from grievances. Another order seeks to shorten the time it takes to negotiate collective bargaining agreements with federal employee unions, while the third aims to cap union employees’ use of official time at 25 percent of their work hours and restrict the types of activities allowed on official time. 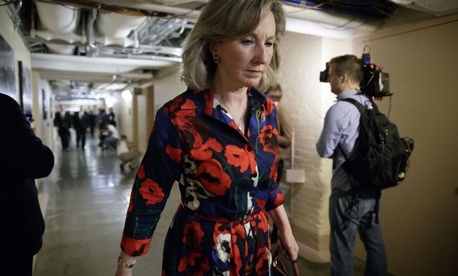 The Republican lawmakers said they fear these actions will erode federal workers’ protections from discrimination, unfair treatment and sexual harassment and “undermine” the 1978 Civil Service Reform Act. They encouraged the administration instead to take a more constructive approach to workforce issues. The executive orders already are the subject of two lawsuits from federal employee unions. The lawmakers said the federal government should serve as a model for employment practices, and efforts to reduce employee protections will undermine the goal of providing quality services to taxpayers.